According to a press announcement, The Securities and Exchange Commission has obtained court-ordered emergency relief halting an alleged ongoing fraud perpetrated by Christopher A. Faulkner, Breitling Energy Corporation (BECC) and Breitling Oil and Gas Corp. (BOG). The court’s order, entered on September 25, 2017, by the Honorable Sidney A. Fitzwater of the U.S. District Court for the Northern District of Texas, purportedly froze the assets of the self- proclaimed “Frack Master” Faulkner and his two entities. The SEC reportedly preliminarily enjoined them from violating antifraud provisions of the federal securities laws. The SEC’s complaint, filed on June 24, 2016, charged 12 defendants and two relief defendants for their roles in an alleged $80 million securities-fraud scheme orchestrated by Faulkner. The SEC alleged that, through his companies, Faulkner sold investors working-interest units in multiple oil-and-gas projects by reportedly misrepresenting his education and experience. Faulkner allegedly oversold the available units for each project and inflated the estimated project costs. According to the SEC’s complaint, despite representing to investors that their investment proceeds would be segregated by project, Faulkner and his companies allegedly commingled and misappropriated investor money, spending tens of millions of dollars for Faulkner’s benefit, including lavish meals and entertainment, international travel, cars, jewelry, gentlemen’s clubs, and personal escorts. In the alleged scheme, Faulkner reportedly signed untrue and misleading reports that BECC filed with the SEC. Ultimately, the SEC alleges, investors in Faulkner’s companies received back only a fraction of the money they paid into the scheme. 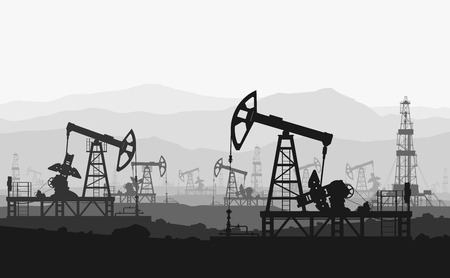 After filing the complaint, the SEC reportedly uncovered evidence that Faulkner, and both companies were continuing to victimize investors by misappropriating oil-and-gas production revenue owed to them. Based on this evidence, the court purportedly imposed the asset freeze, receivership, and injunctive relief requested by the SEC. The court stated that, “[t]he SEC has demonstrated through its extensive filings that Faulkner has already obtained at least $23.8 million of investor proceeds through fraudulent cash disbursements and reimbursements.” “Moreover, the fact that Faulkner continued to misappropriate investor assets even after the SEC filed this lawsuit gives the court little confidence that Faulkner’s asset management would improve without supervision,” the court concluded. This information is all publicly available on the SEC’s website and is provided by The White Law Group.